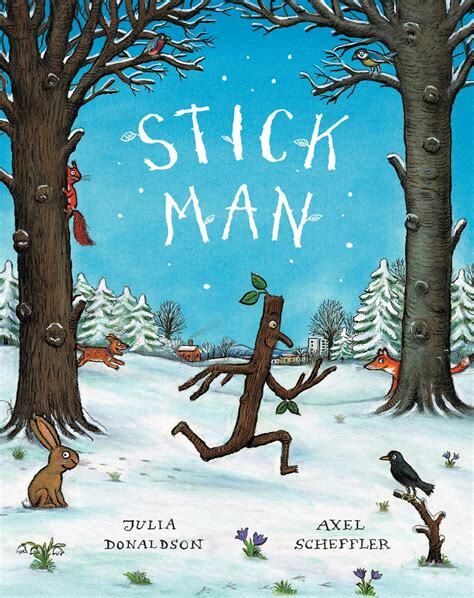 Stick Man by Julia Donaldson and Axel Scheffler is a book that quickly captures children’s imaginations. 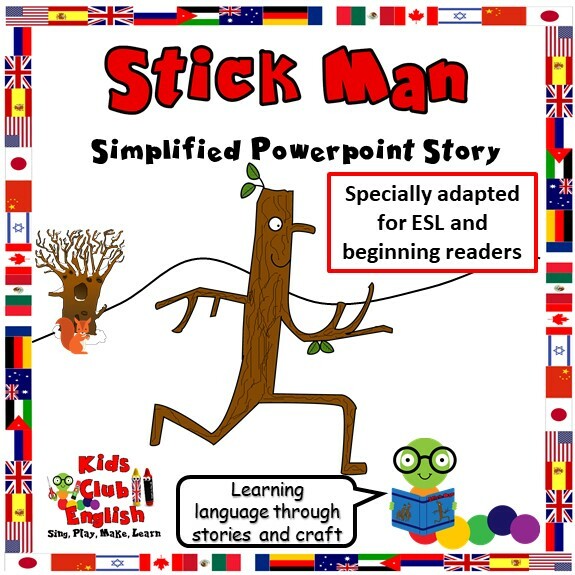 Kids enjoy following Stick Man on his adventures and can easily identify with common themes running through the story: getting lost; being happy to be reunited with family; being called the wrong name; the endless possibilities for playing with a stick! The repetitive nature of the rhymes makes it great for second language learners. The story ends with Christmas and ties in nicely with the Xmas theme, but it is also great for exploring the seasons. 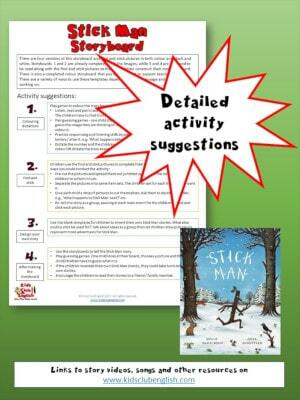 These crafts and activities to complement Stick Man by Julia Donaldson and Axel Scheffler support learning of topic vocabulary such as people, family, feelings and seasons AND help you focus on expressing purpose language. 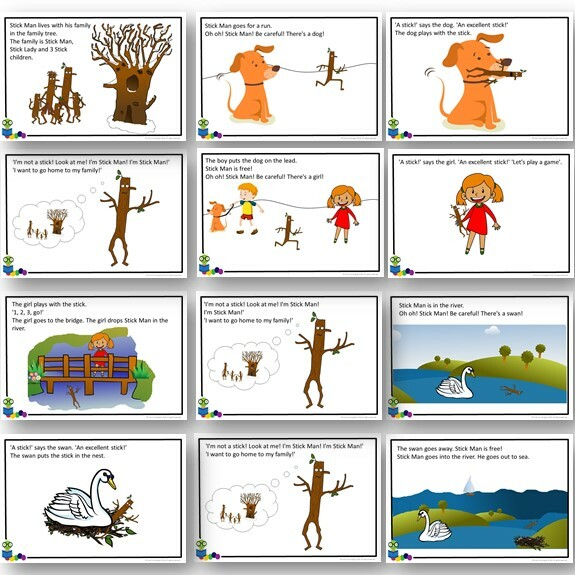 This pack also provides comprehensive activity suggestions to help you provide exposure to useful grammar and phrases in the story. Many of the resources in this pack are also available individually. 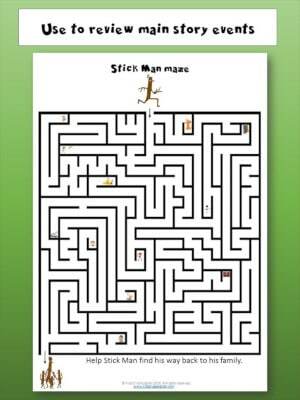 Enjoy these songs based on the Stick man story. 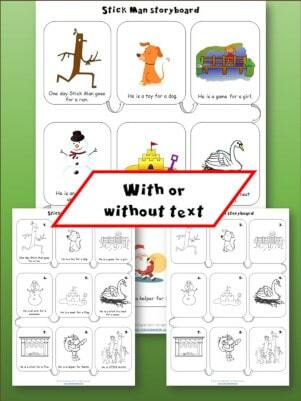 This adapted version of the story includes includes simplified language. 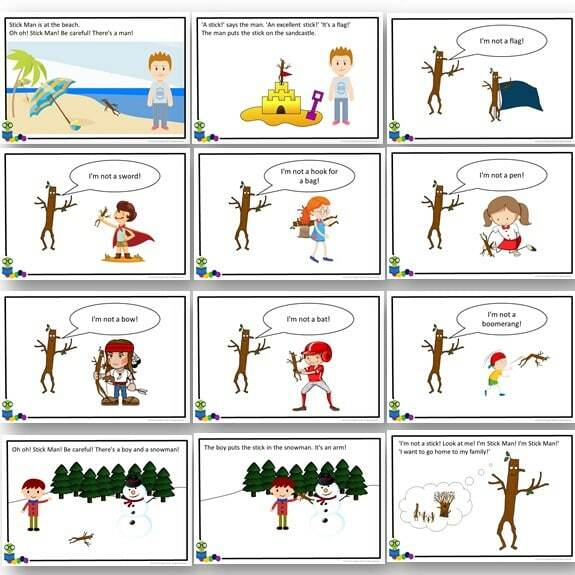 It is designed to help EFl / ESL learners assimilate useful phrases and vocabulary, while still enjoying the adventures of Stick Man. Use these templates to recreate the story. 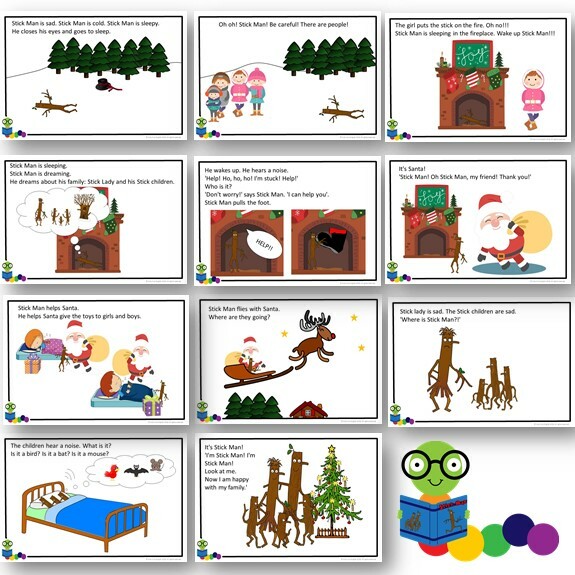 There are detailed suggestions for how you can use the templates in an interactive and dynamic way to include lots of great language practise. 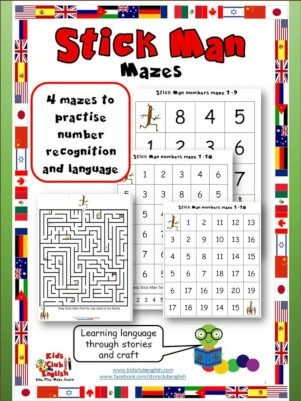 Click the Free Download button below to get these fun mazes. 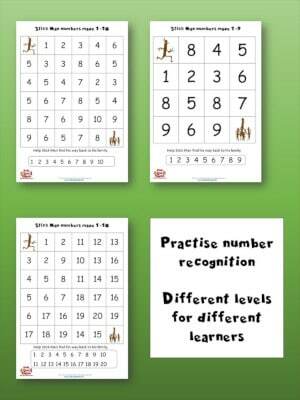 Help Stick Man find his family and practise number recognition and counting. 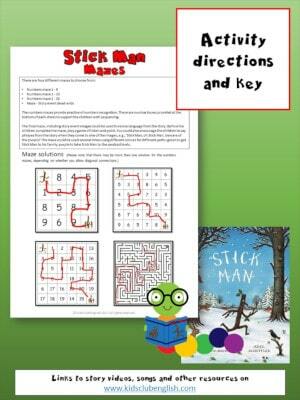 Find links to other Stick Man products and some free downloadable games and activities. 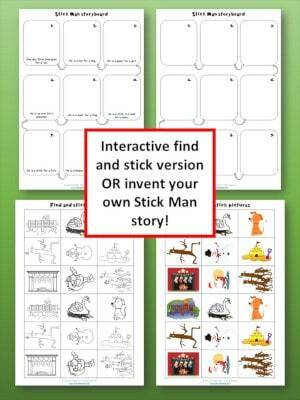 Great ideas for how to create and use your own story sack.